If candidates want to get Job in Government Field then you should read this web page because Hare we have complete & latest update of the Government jobs are visible for you so that Indian Coast Guard has released a notice of the job for the recruitment of Foreman of Stores (Group B), Store Keeper Grade-I (Group C). 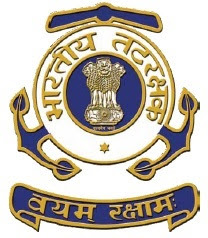 Under Indian Coast Guard Recruitment notice various vacancies are available for available positions in this reputed & popular organization. Indian Coast Guard is going to recruit able & sensible job contenders on various seats. For Indian Coast Guard Recruitment only eligible and promising candidates will be recruiting. Candidates, who want to join in Indian Coast Guard recruitment they need to apply this jobs from official website of the Indian Coast Guard. Dear aspirants who will pass in selection process they can join in the Indian Coast Guard. After successfully selection, appliers will get big pay band that is given below on this web page. Dear candidates who want to deserve career in Indian Coast Guard on given positions, it is fantastic chance for them. Candidates can apply through official website of the Indian Coast Guard that is joinindiancoastguard.gov.in before last date. For more info about Indian Coast Guard recruitment notice like eligibility condition, age bar, selection way etc please look below section of this web page.